Coal Cave Hollow Boys Come to Town! As one of Ohio’s fastest rising bluegrass bands The Coal Cave Hollow Boys bring their high energy onslaught of flat picking guitar, mandolin chopping, banjo frenzied, bass filled Bluegrass to every show. Fresh off of sets from the Duck Creek Log Jam, Nelsonville Music Fest. and many other regional festivals assuring their place as a regional artist. The Coal Cave Hollow Boys are excited to bring their sound to you! Keep an eye out for Tour dates, festival dates and regional shows. The Coal Cave Hollow Boys feature some of Ohio’s premier acoustic talent. The band plays Bluegrass with their own unique twist on the genre. We are currently booking for Winter, Spring and Summer. 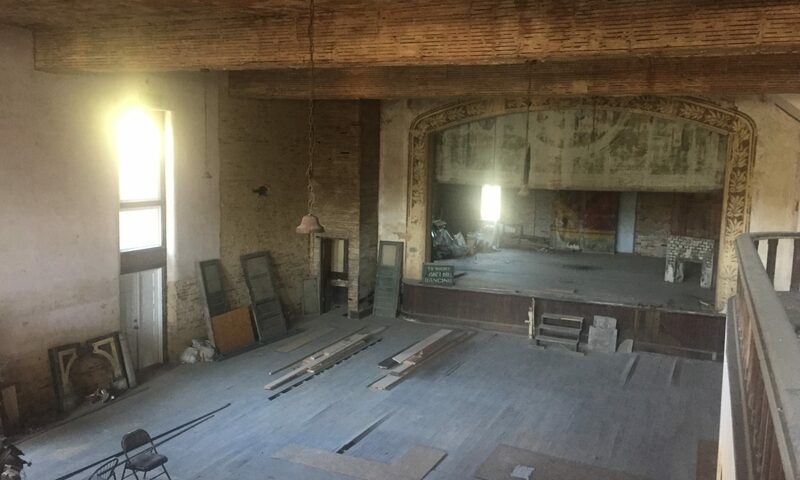 Tecumseh Commons, the first floor space in the Historic Tecumseh Theater building, is available for Private Events Rentals. Two rooms, each approximately 1875 sq. ft. (75ft. x 25 ft.) are popular for everything from business meetings to bridal showers. If you are interested in renting the space, we can be reached at 740-856-8253, on Facebook, or at tecumsehtheatershawneeohio@gmail.com for rates and scheduling. The Tecumseh Theater strives to be an active and supportive member of the community and the region. Feel free to use the contact information above for any other questions about the building and our events. We are always happy to welcome new performers, vendors, and, of course, guests.